Liverpool opens gateways to a great living. Set amidst a beautiful seaside, the city enjoys a rich historical and industrial past. The famous seaport positions it as an important trading center of the country. The growing city has no dearth of opportunities. With the perfect blend of city, countryside, and beaches; it’s the place many people want to relocate to. If you too are considering relocating to Liverpool, go ahead. It’s amongst the best places to live in the UK! To enable you to enjoy a smooth transition is our proficient and effective relocation services in Liverpool. As reputed and dependable movers in Liverpool, we help people relocate and start afresh without being hitched by the worries of relocation. 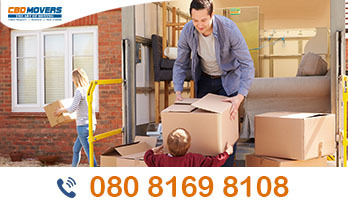 At CBD Movers, we are an established removal company in the United Kingdom. We undertake a plethora of removal services that cater to the distinct needs of house removal and office shifting. Our removal crew is specially trained and well equipped to move furniture pieces. Our Man and Van in Liverpool service offer end-to-end services for the perfect house, office and furniture removals in Liverpool. We believe in customizing services to ensure that the client’s requirement is appropriately met. Thus, we take time to listen and understand individual needs. Planning, organizing and executing the move; every aspect is handled professionally. Our services extend until we unload and unpack the belongings safely. With us, you are sure to get settled and started at the earliest! We set high standards of practice. Helping us all through is our modern removal methods and well-trained removal crew. We own a large fleet of removal vans. Each vehicle is aptly equipped with the latest removal gear to provide unmatched safety and security to your belongings en-route. We hold the required licenses and permissions which establishes us as the legally authorized movers for both local and national removals in Liverpool. Our relocation services in Liverpool are most competitively priced. Our endeavor is to render best-in-class removal services at affordable rates. We make it possible by cutting down costs without compromising on quality. We slash every written removal quote by 10%, making our Man and Van in Liverpool service the best and the cheapest in the region. Delighted customers are our greatest feedback. We strive to document a hassle-free removal that is memorable for all. 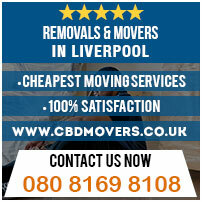 At CBD Movers, we are renowned for undertaking timely, safe and effective removals in Liverpool. Call us to enjoy a customized removal deal at the lowest rates. We are available 247, 7 days a week!